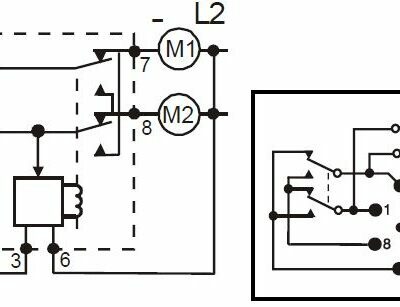 The Model 261 series Alternating Relay is designed for duplex pumping systems where it is desirable to equalize pump run time. 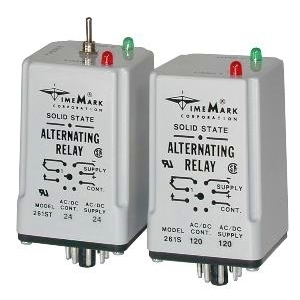 The solid-state alternating circuit drives an internal electromechanical relay. A continuous power source and control switch are required. The control switch (float, pressure or other isolated contact) is connected between the L1 terminal and the control terminal. Each time the control switch is opened the output contacts will change states. Indicator lights on the case show the internal relay status. On the optional toggle switch versions, the toggle switch is set to the ALTERNATE position. Setting the switch to Load 1 or Load 2 will lock the relay in position, preventing alternation.